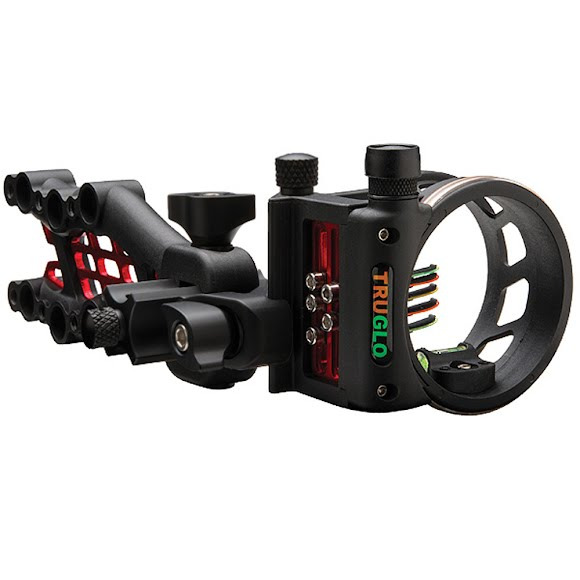 With TRU FUSION™ HYBRID TECHNOLOGY, the Tru Glo® CARBON HYBRID™ is the first and only archery sight constructed with the optimum combination of carbon composites and aluminum, providing an excellent strength-to-weight ratio and unparalleled durability. Combined with TRUGLO's TRU TOUCH™ coating, the CARBON HYBRID™ is the new standard for ultra lightweight, multi-pin archery sights. With TRU FUSION™ HYBRID TECHNOLOGY, the Tru Glo® CARBON HYBRID™ is the first and only archery sight constructed with the optimum combination of carbon composites and aluminum, providing an excellent strength-to-weight ratio and unparalleled durability. Combined with TRUGLO&apos;s TRU TOUCH™ coating, the CARBON HYBRID™ is the new standard for ultra lightweight, multi-pin archery sights.